President Jair Bolsonaro announced that Brazil will no longer "rig" its vote on the UN Human Rights Council during a social media broadcast on Thursday. The country will now vote "in line" with Israel and the United States, according to the president, ending the practice of voting with "Venezuela, Iran, and Cuba, countries that have no appreciation for freedom." The Brazilian representative usually abstains or votes against the Israeli position in UN votes involving disputed territories by the Palestinians or the Golan Heights. The nod to Israel comes a day after the president attended a dinner with representatives of 36 Arab and Muslim-majority countries. The dinner attempted to ease tensions with these countries, which have reacted negatively to the approximation of Brazil to Israel. Bolsonaro promised in his campaign to transfer the embassy of Tel Aviv to Jerusalem, as did Donald Trump in the presidency of the United States. This also displeased the Arab community, which supports the Palestinian claim to have the city as the capital of a future state. 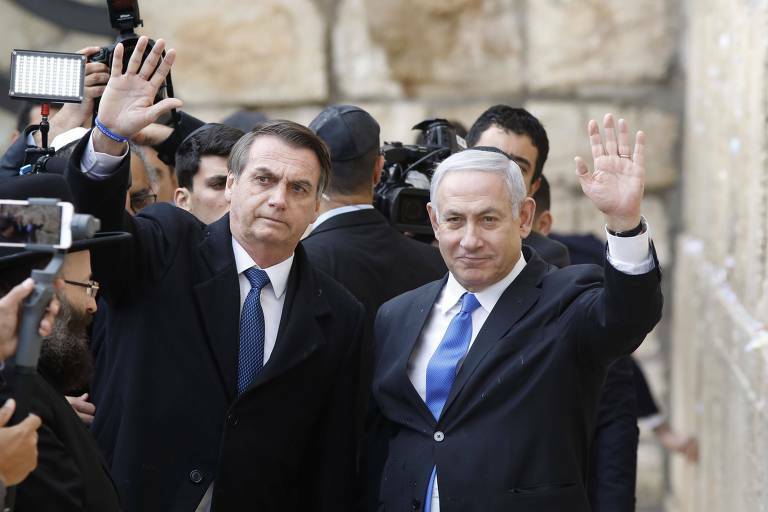 The government announced, during Bolsonaro's trip to Israel two weeks ago, the opening of a commercial office in Jerusalem - a retreat from the original plans.